Jeannie Seely is a country music legend and Grand Ole Opry Star. Back in the 60s and 70s she won and was nominated for a number of awards including a Grammy for her country hit “Don’t Touch Me” which reach #2 on Billboard and #1 on Record World. She’s been singing for over 5 decades, produced many country hits, and got to know many other musicians along the way. Jeannie was kind enough to answer some questions for us about her life as a country musician. Enjoy! At one time I might have said that I think people were always surprised how down-to-earth I am, that I don’t live a glamorous lifestyle. I’ve never liked that. I don’t live to try and impress anybody. Except being happy. I never believed in living above my means, that was the way I was brought up and I think that’s so important. I just want to live my life comfortably, doing what I love to do for a living. I love my neighbors and my family and all of my friends. I like to forget that I’m an entertainer or “celebrity” as often as possible. Tell us about why you’re called “Miss Country Soul”? The Miss Country Soul, when Ed Hamilton was the national promotion manager for Monument Records, he was on a promotion tour promoting Don’t Touch Me, and he was somewhere in Louisiana, I don’t remember where. But I remember that he told me as he left the radio station he’d visited, the disc jockey played my record Don’t Touch Me and he back-announced it saying ‘that’s the blue-eyed soul of Miss Country Soul Jeannie Seely’ and Ed really liked the sound and the feel of that and it so it kinda stuck. Tell us about the most difficult time of your career as a musician? Oh, I think the 80s were the most difficult time for me because I had had the success and everything was just on stall at that time. And like I said, when you’re married to somebody in the industry, when the marriage ends, a lot of the other stuff does too. Because the old buddy system was, and still is, alive and well. So I looked around and everything that I had built was being taken away. Either through the divorce and when Jack and I split the road show, unfortunately, most of the promoters were loyal to him. As a male artist too so it was a really rough time in the 80s for me. You’ve met a lot of famous musicians during your career? Who made the biggest impact on you and why? Ernest Tubb was one of the big influences for me because I grew up listening to his music as a child. And when I came to Nashville and we were working out of the same booking agency and then he also was one of the forerunners with his television show and he asked me to be on his TV show, too. So Ernest had a big influence on me from the time I was a child until later on professionally. And, of course with the Midnight Jamboree and the tradition that he carried on and instilled in those that were coming along behind him to carry on that tradition which we still try to do today. I don’t ever remember not wanting to be a singer, songwriter. I’m really not a musician, I mean I have the utmost respect for the musicians that I work with because they are so, so knowledgeable. And I think, like when I talk about writing my songs, I get frustrated sometimes because I don’t know how to express what I hear. In my mind I can hear what I’m creating but I don’t know how to really put it down. If I was smart, I’d take some music lessons. I keep thinking my career is over. But, I don’t consider myself a musician at all. I’m definitely a songwriter, and even as a singer, I hesitate to call myself a singer because there are so many who sing better. I just like to be known as an entertainer. What’s the story behind “Don’t Touch Me”? Did you ever think it would as successful as it became? Hank (Hank Cochran) & I had gone and talked to Fred Foster about signing me with Monument and Fred said “OK, find me the song and we’ll go ahead and record.” So when we were looking and listening to song after song, and I was kind of telling Hank what I’d like to have was a ballad to sing that would reach everybody. And so I was on the road with Porter Wagoner and we were in Rochester, NY and Hank had gone to Indianapolis with some writers and he got the idea and called me and sang me basically the first verse and asked me if I liked it and I told him I did. So he caught a plane and flew to Rochester, NY. And he actually finished it in my dressing room in the auditorium there. By the time we got to the bridge, he’d had a little too much scotch to play the guitar. So I had to take the guitar and kind of finish that. So more of the bridge kind of is mine, but that’s all I knew how to play. I don’t remember ever really thinking of what the song might do or what the record might do, I was just so young and so new at all of it I was just excited to have anything happening in my career and recording. But looking back now, there would be no way to could ever predict anything. And the fact that it’s sung, I can go in places now and hear that song being sung 50 years later. That’s a testament to what a great song it is. You’ve done a lot of travel and lived in many different cities during your career. Where’s your favorite place? Oh without a doubt, Nashville is my very favorite place to be. I grew up in northwestern Pennsylvania and when I finished school I went to southern California. And I loved California and now, particularly looking back, I know how lucky I was to be there in the time period that I was there. So many things were breaking open there, and yet you could still get around, unlike today. You couldn’t do what I did then. I had a little MG Roadster and I negotiated the interstate for one minute and then I’d be at the beach the next and then I’d be up in the mountains. It was just an awesome time to live out there. But I wanted Nashville for a couple of different reasons. Number one, the Grand Ole Opry, and number two it was the center of country music, it was obvious and number three because I wanted the season changes again. When you aren’t performing, how do you spend your time? I like to sit in this cottage on this river bank and watch the boats on the river go by and of all the places I’ve lived too, and the homes I’ve had, I’ve never been as content anywhere as I have been in this little cottage. I downsized from a big, sprawling farmhouse in Hendersonville back in the early 90s to this little cottage that I found right on the bank of the river. And of course when I moved here we had Opryland Park and TNN Studios, the Gaslight Theater, all the shows, everything that was going on here, everything in the industry that I did was right here. I also like it because it’s so close to the airport. And so close to downtown and it sits off on a little dead-end street that you’re hard-pressed to know you’re not out in the country when you’re get down in this little area by the river. What’s your advice to anyone looking to become a musician? My advice for anybody who wants to become part of this fabulous entertainment world is, if that’s where your heart is, follow your heart and do it on any level you can. I remember at one time, years ago before I came back here, Bobby Bare was one of the people I met in California. Bobby asked me one time, “what do you want to do in your life?” and I said, “I want to sing.” And he said, “well then, that’s simple, just sing. It doesn’t matter what level you sing on, if that’s what makes you happy. Whether it’s in church or home, in a nightclub or recording, if that’s what you want to do, then just do it.” And I would encourage anybody to find someplace in the industry, if they love it, because all the jobs, I think, in the entertainment world are fun. If I wasn’t an entertainer, I probably would have worked in production or promotion. What is your all time favorite show that you played during your long career? Why? Without a doubt the Grand Ole Opry! 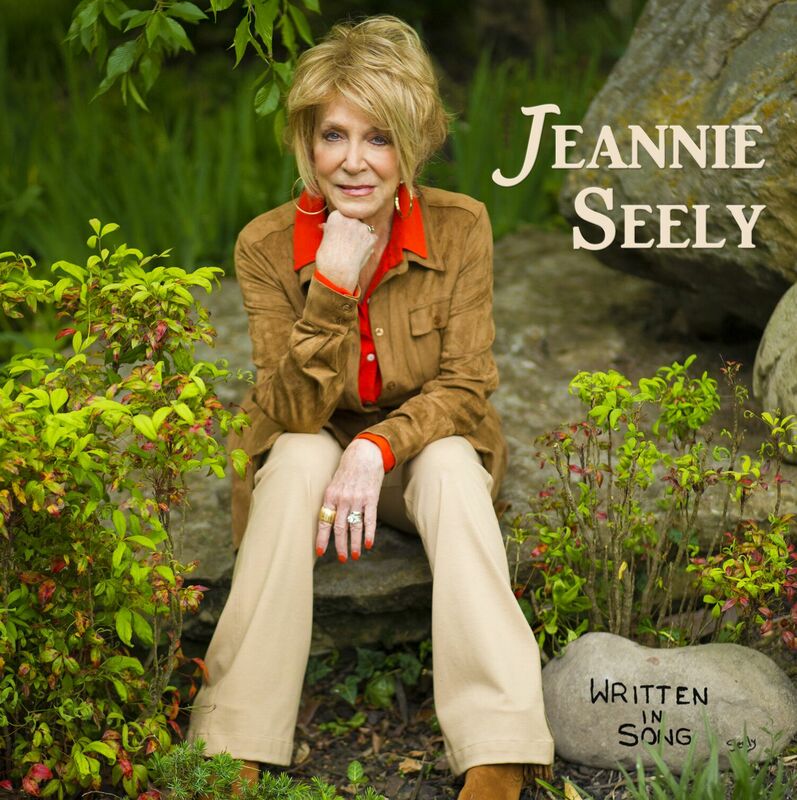 Jeannie Seely has a new album! This is her first album release in over 6 years and contains 14 tracks all of which were written or cowritten by Jeannie herself. It can be found on Spotify, iTunes and many other popular music platforms.